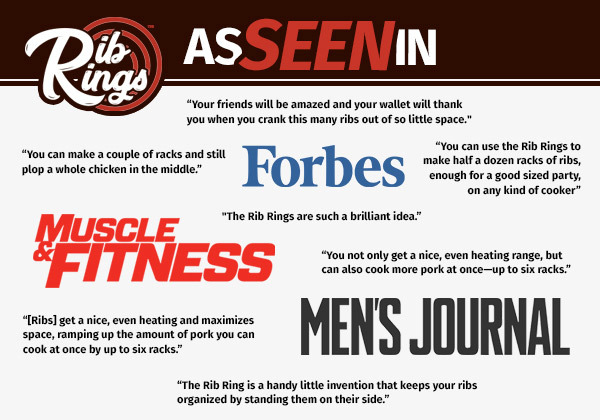 Maximize your grilling space in the most ingenious way with the Rib Rings™! 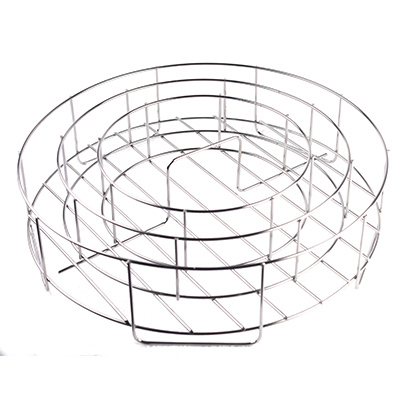 The patent-pending design is the first and only BBQ accessory to conserve grilling space by placing ribs in an upright circular pattern. Barbecue enthusiasts can simultaneously cook 6 racks of ribs in bulk or 5 racks of ribs and a whole chicken. An absolute must-have for your next backyard barbecue, the cutting-edge design evenly cooks food to perfection and will have you sinking your teeth into the most succulent, lip smacking barbecue. 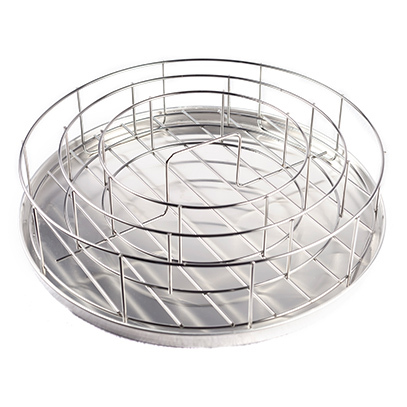 The Rib Rings™ can support the full length of three racks of ribs in the outermost ring, two racks in the middle, plus one rack of ribs or one whole chicken in the center ring. 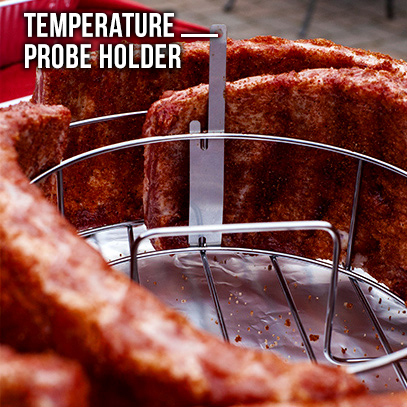 A stainless steel probe holder easily hooks onto the Rib Rings™ so you can keep track of meat temperatures and slow-cook your most mouthwatering ribs. 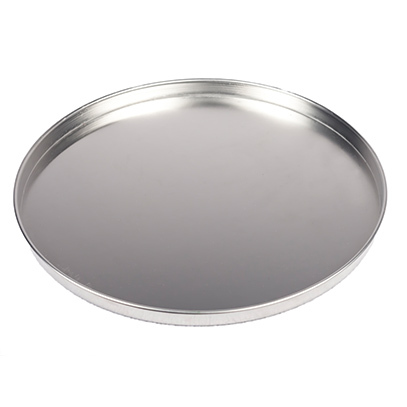 A reusable aluminum drip pan makes the disposal of grease easy and fast. 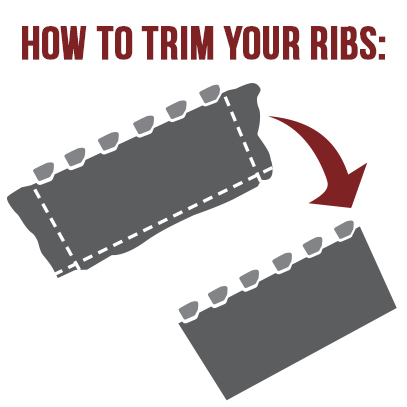 Keep mess to a minimum by simply placing the drip pan underneath the rib rack. 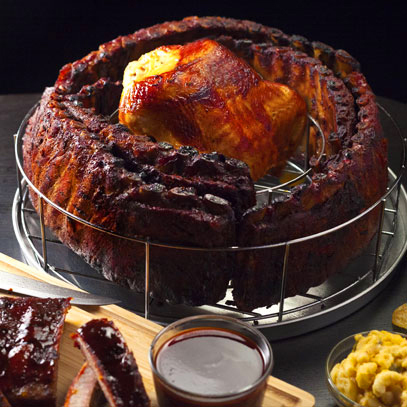 Since the Rib Rings™ is elevated from the drip pan, air is able to precisely flow to the meat, resulting in heavenly and insanely delicious ribs that will be sure to impress. 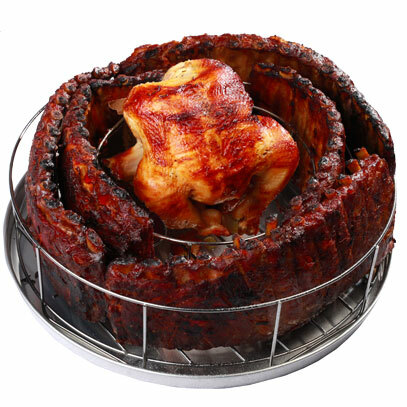 The extreme rib rack and chicken roaster is oven and dishwasher-safe for added convenience, making it ideal for both backyard barbecue grills and home kitchen use. The Rib Rings™ is made with heavy-duty nickel plated carbon steel for long lasting durability and resisting rust and corrosion. The Rib Rings™ can be used on all 18” x 18” vertical, horizontal and round kettle, bullet style, drum, and ceramic grills and smokers. 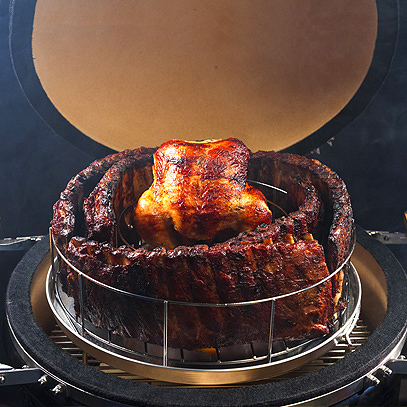 NOTE: The Rib Rings™ will not fit a medium kamado style cooker unless you lower the cooking surface.